Title Tracks is the solo project of John Davis, formed in 2008, a few years after the breakup of his ear­li­er group, Q and Not U. With Title Tracks’ debut LP, Davis demon­strates expe­ri­ence gained from sev­en years with Q and Not U as well as his own cre­ativ­i­ty, com­bined to cre­ate a tru­ly inter­est­ing musi­cal pres­ence which is unique­ly his own. It Was Easy is a great debut, and though it suf­fers from cer­tain flaws, is on the whole a very enjoy­able album. While Title Tracks does seem to have a soft spot for tracks that alter­nate between two mod­est­ly dif­fer­ent, yet still com­plete­ly con­nect­ed sec­tions, tracks on It Was Easy are, per­haps ignor­ing struc­ture, impres­sive­ly diverse. One would be hard pressed to find two even fair­ly sim­i­lar tracks on the album, giv­en that tracks span the entire range from pure rock to funk to Tex-Mex and back, and tracks by no means stop at genre in order to achieve diver­si­ty. Through­out It Was Easy, Davis toys with mood, instru­men­ta­tion, and most of all, rhythm. Each instru­ment is giv­en its chance to shine, and at least as impor­tant­ly, they sound amaz­ing when doing so. 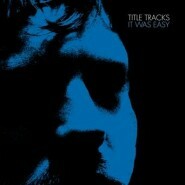 It Was Easy is, blunt­ly, a won­der­ful­ly designed album. Not only is it very, very diverse, but it still feels like one well con­nect­ed album beneath all of its genre meld­ing and rel­a­tive­ly sub­tle exper­i­men­ta­tion. Fur­ther­more, the record­ing qual­i­ty is tru­ly excel­lent. It’s not incred­i­bly crisp and it doesn’t have a huge amount of depth, but it’s warm, and more than any­thing else, very, very nat­ur­al sound­ing. It might not have been the best for most oth­er albums, but for the con­tent on It Was Easy it’s near per­fect. It’s obvi­ous from the first moment of It Was Easy that Davis’ time with Q and Not U (on which all three mem­bers shared vocal duties) has giv­en him a good bit of expe­ri­ence as a vocal­ist, as he fits his voice expert­ly with the musi­cal direc­tion of the album - harsh­er and more “rock­ish” on “Every Lit­tle Bit Hurts,” while much soft­er on lat­er track “Hel­lo There.” Davis’ voice occa­sion­al­ly slips into a repet­i­tive style, espe­cial­ly on (unsur­pris­ing­ly) the repet­i­tive parts of the album, such as cer­tain sec­tions of “Black Bub­blegum,” and is some­times accen­tu­at­ed (thank­ful­ly infre­quent­ly) by a regret­table falset­to. At the same time, how­ev­er, the well-craft­ed rhyth­mic style with which he accom­pa­nies the best tracks makes such weak­er moments seem much less impor­tant by com­par­i­son. Lyri­cal­ly, It Was Easy is a bit of a mixed bag. On the best tracks, the lyrics range from benign to well-writ­ten. Lines such as “Piles of Paper“ ‘s “Don’t make me go there / I know what I’ll find / Anoth­er one just like you” work quite well, espe­cial­ly with the ener­gy Davis puts into them. On the oth­er hand, how­ev­er, there are cer­tain­ly less well-writ­ten lines. Prob­a­bly the best exam­ple of this is the more than slight­ly inane, “Just keep chew­ing your black, black bub­ble gum / You’re still num­ber one / Even if you share some,” and it does not help that lines like this are often repeat­ed far too many times. It Was Easy is a great album. There are cer­tain prob­lems, the most promi­nent being the rel­a­tive­ly unin­ter­est­ing lyrics, but there is real­ly very lit­tle to crit­i­cize. Unfor­tu­nate­ly, this does not mean the album is per­fect. There are a healthy num­ber of ter­rif­ic sec­tions, but for the most part, tracks range from good to very good. It Was Easy is enjoy­able all the way through, in fact, there are lit­tle to no over­all bad spots. As a whole, It Was Easy is quite good, just not extra­or­di­nary.